Greenland has a few unique characteristics. Although physically it is part of the continent of North America, administratively it is part of Denmark. It is the world's largest island and it's also the least densely populated country in the world. Due to the extreme northerly latitude the sun doesn't set in July and August. Icelandic horses are used for sheep farming around the southern edges. There is a relatively short season (June to September) for riding due to the climate. 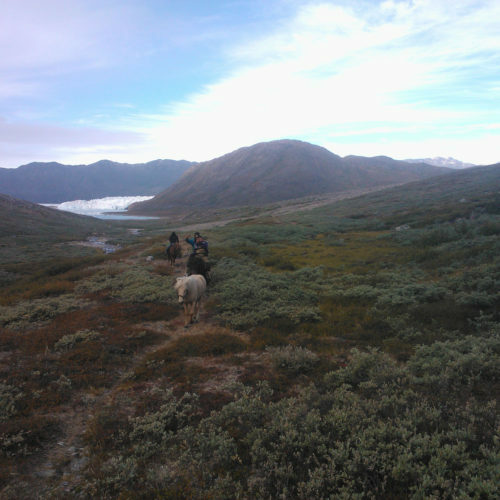 Explore the high mountains and green valleys of southern Greenland on sure footed Icelandic Horses. Your guides are local sheep farmers and the barrenness of the landscape they work and protect will amaze you.